Gather friends for drinks or small meals around this mixed media metal and glass modern bar table. 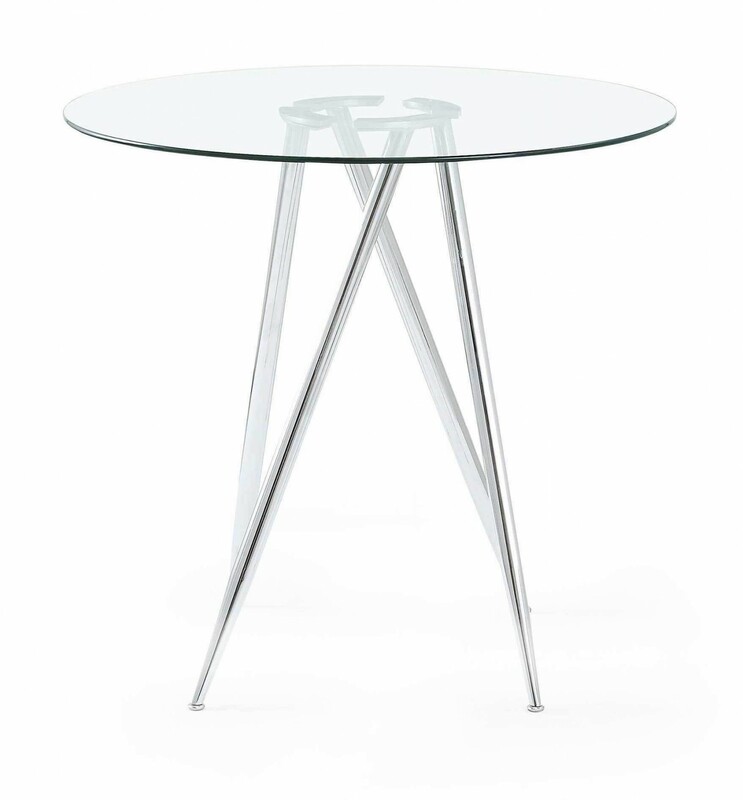 The clear round glass top offers and an easy-clean surface for quickly taking care of spills, and it allows the beauty of the metal base to take center stage. 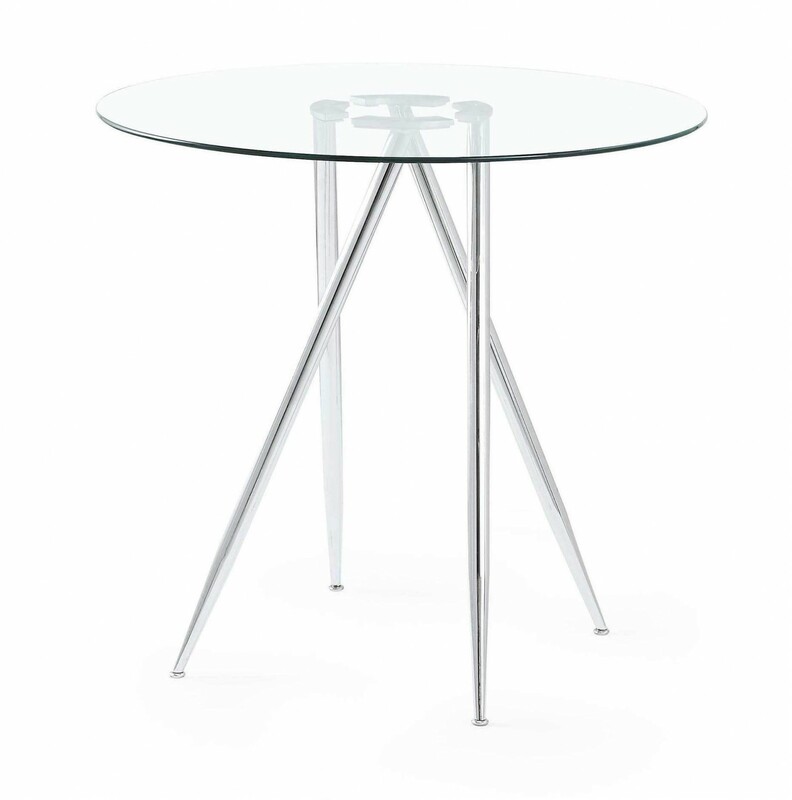 The legs have a chrome finish for a modern look, and are minimally sized to give guests lots of legroom be nice. Pair this table with the stools of your choice or with coordinating stools from the same collection. W39" x D39" x H37"